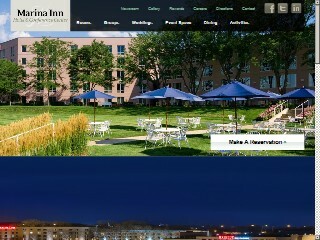 Description: Marina Inn & Conference Ctr is a business categorized under hotels & motels, which is part of the larger category hotels & motels. Marina Inn & Conference Ctr is located at the address PO Box 218 in South Sioux City, Nebraska 68776-0218. The Manager is Rick Lecy who can be contacted at (402)494-4000.